In previous challenges, we looked at generic course starters, button starters, and course starters for the construction and medical industry. This week, we’re focusing our course starter templates using the popular comic book design style. This week, your challenge is to share a comic book style course starter template that contains at least six slides. 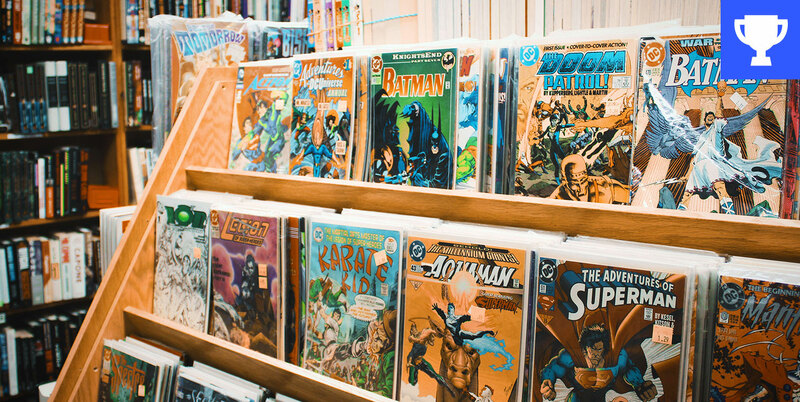 You can include as many slides as you like, but your goal should be to find the most essential content slides course designers would need to start building a course using the comic book design style. Here is my effort for this challenge. A fun one to create a template that I will use in future courses. Example here https://360.articulate.com/review/content/2d307d6f-306e-4f45-887f-09f1365ddb39/review and source here http://davelefevre.website/elearning.html. You share some really great ideas Dave! I just noticed you've been sharing challenge source files for your entries. I'll update your previous entries to link to your downloads. Thanks! I created a page on my website to let me share all the source files I've created for the challenges so far. More to come! Wow...Thanks for sharing the source. Great template! I like your choice of the portrait orientation--makes it seem even more like a comic book! Thanks for including the source file! Fun use of the 'older' characters with good colors and fonts. I especially liked how the quiz responded as soon as I clicked without a Submit button. Thanks Neha! :) This will keep me going....I am going to participate in the next challenge too. Comic themes can be fun and can make a boring subject interesting. I have seen this done very well by others in the community. I am keeping this simple. I gathered the comic elements from Freepik.com and the fonts from Font Squirrel. Anyone should be able to download the story file and use it or go to Freepik and get other elements to add to their version. This is my example http://jeffrfiles.s3.amazonaws.com/ArticulatePosts/ELH204ComicStarterCourse%20-%20Storyline%20output/story.html This is the storyline file. http://jeffrfiles.s3.amazonaws.com/ArticulatePosts/ELH204ComicStarterCourse%20-%20Storyline%20output/ELH204ComicStarter_v2.story I hope this helps or inspires someone. Clever use of animation for your quiz! Great work! Thanks Samuel. I hope the template helps. Definitely going into my toolbox. Great use of colors and effects to add depth to the graphics. Thanks Raina. I use the Freepik site a lot for all types of graphics. Jennifer you are welcome. There are so many good examples here glad the links help you. Retro Girls Drama Demo: https://chilp.it/4d190b3 Download: https://chilp.it/2d84c7b Thanks for posting this challenge last Friday. It took me a day to think about it. My course features a cover, TOC, tabs, layer interaction, slider, timeline, quiz and a topic review. It has a retro mid-20th Century look. It was a lot of fun to do, but I don't think it has any utility whatsoever! :) And it doesn't have any cats or dogs. like I promised, but I was tempted. Have a good week everyone! Jodi I thought it was clever. Very good comic book feel with lots of interactivity. Besides, not everything can be cats and dogs, can it? Hey Jodi, simply loved it! Lots of vibrant color, motion, and drama. I thought all the teen dialogue/ situations were hilarious! This was fun to play around with. Inspired by Betty and Veronica or maybe one of those vintage Dating board games? Actually, Mike, I had that movie "Grease" in mind when I was playing with this. "Beauty School Dropout" was playing in my head. But now that you mention those dating board games, there were three of them: Mystery Date, Barbie's Dream date, and there was one on a metal lunch box that we took to school. On one you had these little doors you would open up and you had to see if your date was a 'dream" or a "dud". It all seems very charming, innocent, and sexist now. :) And we played while were we were watching the Dating Game on ABC. Throw everybody a big kiss! Hi Jodi--I'm pretty new to e-learning, but I really enjoyed this one! The teen drama was cracking me up, and I enjoyed the interactivity. Really fun, and I love the look of your comic book! Thanks so much for the source file! Jodi, Thank you for sharing this-it has really inspired me! This could make almost any content fun! I'm new(ish) to using Articulate Storyline, and I was wondering about your slide entrances-mine never look so smooth. What's your secret? Thanks again for sharing! Hi Jane. Take a look at the slide transition panel. I think I used the "uncover" transition so it would feel like a page turning. There are all kinds of different effects in there. Good luck with your projects. Thank you, Jodi-that was it! I absolutely fell in love with the backgrounds and the shapes - the treatment you gave to each element of the slide was amazing! Thank you for sharing this! Angela there are a lot of really good ideas going on here and lots of interaction. Where did you get all the neat comic book backgrounds? Nice! Thanks, Mike. Some of the basic ones with textures, dots, etc. I created in Illustrator. If I recall correctly, the sunburst ones and graphics like the explosion were from either shutterstock or 123RF. I typically grab the vector, so that I can modify in Illustrator. Thanks for the template and great way to share your source file. I would never have thought it was possible that way. I created this today in Storyline 360. Which type of manager are you? http://www.elearningbydana.com/ELearningChallenges/ELH204_ComicStripManagement/story_html5.html Thanks Dana. I like this, Dana. Thanks for sharing! I was ready to explore the various manager types and picked one, but then couldn't go back (without restarting). I would suggest putting navigation in to let people return to the main page and look at all the different types. Ah, yes, I like that much better. Now I am an empowered, self-directed learner! ;) Great job, Dana. Nice--I knew exactly what I should be (the devil horns and cape were helpful ). The only thing that seemed odd was that the rollover and click for the words didn't work for the whole shape. Perhaps you just used the text box as the rollover 'target'? Thanks Dave, Actually, it was happening due to overlap character images, but now i have updated it, thanks for pointing out this. I like this design, Tracy. The shadows on the characters give it a dramatic feel, and the subtle animations and movement add to that effect. Well done! I liked this, Mike. The visuals are compelling and the situation engaging. The only suggestion I had was to not wait so long to load the story. I found myself waiting and just wanting it to hurry and load. It's hard to anticipate how long it will take someone to read so best just to load it and let them work through it. The comic book format means I'm likely to read in order anyway, because that's the style. Nice work! I liked your use of the small text boxes between comic squares to help tell the story and keep it flowing. That helps to give this the comic book feel. I am always amazed at the different approaches people take. Dave, I found it difficult to know how much time to give the reader. But I like your suggestion and rationale for speeding up the pacing. Jeffrey, I thanks for your comment about the boxes and flow. All very helpful comments. Thanks! Do you have a downloadable template? I love this style. Katie, I like the approach to the safety topic. These can be very boring but this makes it interesting and does not sound like a manual. On your quiz question, since this needed more than one answer you should tell the person that. The assumption is only one answer is correct. Great job. That was fun and an engaging way to teach about the subject. Thanks, Katie! I am excited that I finally have an entry to submit for a Challenge! However, I cannot host it myself and do not know how to submit it. It was created in Storyline 3. Thank you for your help in entering! Hey Nancy - Sorry I missed your post earlier. 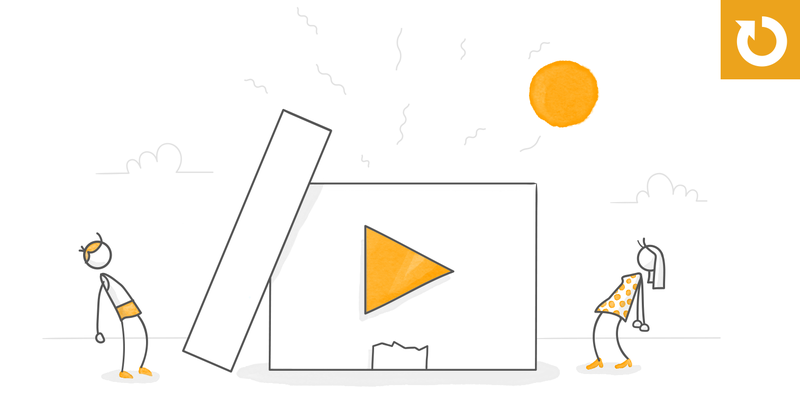 If you don't have a website or hosting provider, you can share a zipped version of your published demo in the Building Better Courses forums: https://community.articulate.com/forums/building-better-courses I'm more than happy to post your demo to our S3 servers so others can see your ideas. Wow, super impressive training, with branching, great visuals, solid audio track, and fascinating info. Way to use the comic book format to good effect on some tough content. Thanks Dave, I learned a lot from developing this and real proud on how it turned out. Can you explain how you used the scrolling panel as a mask? The effect is so good as you have used it here. I am sure others would benefit from learning how that is done. @ Jeffrey - I only used this for any moving artwork that would be coming from an angle from the inside of the screen. If it came from the outside it wasn't an issue. I would make the scrolling panel the same size as the comic panel. I would add any motion paths to the artwork and make sure it was set up correctly, then I would move the artwork into the panel. I usually have to increase the panel size so I only have to grab the artwork and move it slightly so that it enters the scrolling panel area, then I would shrink it back down to the comic panel size. I remember this. Big fan! Did you draw the artwork yourself? What do you use to draw the artwork? Excellent work! Also, what is the advantage to giving the user a playhead scrub bar? Hey Mike, Yes I drew the characters myself. I used illustrator to trace around images that were close to what I was looking for. I also used Poser 3D to create references of poses I needed and I used SketchUp to create the background. Wow, very cool. Great images and color, and the nav is very nice, too. A super example (pun intended). I'm finding so many techniques to learn from taking this apart. Your stuff is amazing! Loved the images + colors! Very cool, and I love how you combined the comic book graphics with a real photographic character! DC fan here! This is so rad. Thank you, Samuel! Just checked out your portfolio and I love your style! This is an Articulate Presenter 360 comic book template demo. Toxic Work Relationships: https://tracycarroll.net/ToxicWorkRelationships-PresenterOutput/presentation.html I've included the Articulate Presenter Package to download, and a PowerPoint-only version for folks who don't have access to Presenter: Blog post & 2 FREEBIE Downloads: https://tracycarroll.net/articulate-presenter-comic-book-template/ I used PowerPoint’s picture format and artistic effects tools to cartoonify the images in this template. Hey everyone! The recap is once again current for this week's challenge: https://community.articulate.com/articles/elearning-comic-book-templates-and-course-starters/ Thanks for another week of amazing examples and downloads! Welcome to the challenges, Sommer! You have a lot of cool things going with your template. One thing that really stood out was the blur effect in your panels. What a fantastic way to add a sense of depth and realism to the slides. I've updated the recap to feature your example: https://community.articulate.com/articles/elearning-comic-book-templates-and-course-starters#SommerRiley Hope to see you around more challenges! Welcome to the challenges, Suzann! I'm really digging the state changes in your objectives/tabs interaction. Absolutely brilliant! I've updated the recap post to include your example: https://community.articulate.com/articles/elearning-comic-book-templates-and-course-starters#SuzannLafferty Thanks again for sharing this week! Welcome to the challenges, Kerianne! Thanks for sharing your ideas and source files in this week's challenge. I updated the recap to feature your work: https://community.articulate.com/articles/elearning-comic-book-templates-and-course-starters#KerianneNiswonger Thanks again and I hope to see you around future challenges!